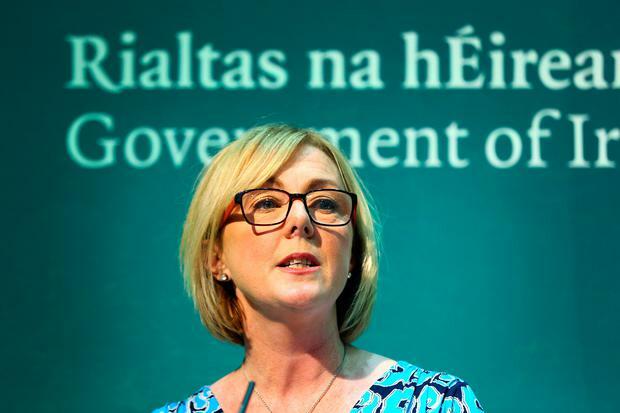 Workers will be forced to contribute to a new pension scheme in four years’ time, Social Protection Minister Regina Doherty has insisted. Two decades after an auto-enrolment system was first muted, Ms Doherty said the only thing that would stop it happening was “something earth-shattering”. It was to be introduced in two years’ time, but Ms Doherty has promised it will be in place in four years’ time. The public has been invited to respond to what is being called a “strawman proposal”, setting out the mechanics of how the new scheme would work. A strawman proposal is one where options are set out with people invited to knock them down or agree with them. Read More: Q&A: Who is this aimed at and will it work? “It is increasingly evident that most Irish workers are not saving enough, or indeed at all, for their retirement years,” she said. “That’s very aggressive and likely to have a significant impact on the economy,” he said. He said the Government was proposing to set up a Central Processing Authority that would collect contributions from employers and also allocate a pension provider to employees who don’t want to choose themselves. Ms Doherty described herself as “very lucky” to be the minister who got to act on two decades of talking about pension reform. “We are having an automatic enrolment system for the Irish people. Not because I say it’s a good thing, but because ministers starting back as far as 20 years thought it was. We’re at the end game of that process now,” she said. The minister said the only way the plan could be derailed was if there was “something earth-shattering” between now and 2022. “It will take probably 18 months for us to devise an IT system capable of interacting with the Central Processing Authority, registered providers and the hundreds of thousands of people who are going to enrol,” she said.